50% the size and 100% the power! Our half page flyers clock into the game with 5.5”x8.5” and is available on our UV or Aqueous coated paper. 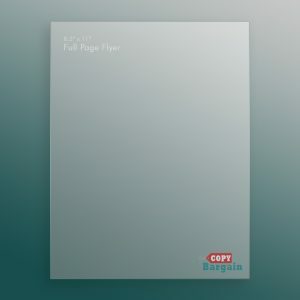 Perfect for those companies that have more to say, our half page flyers are guaranteed to get the job done every time. SKU: N/A Category: Promo Flyers. Our half page flyers are the perfect size when you feel like the quarter size just won’t do. 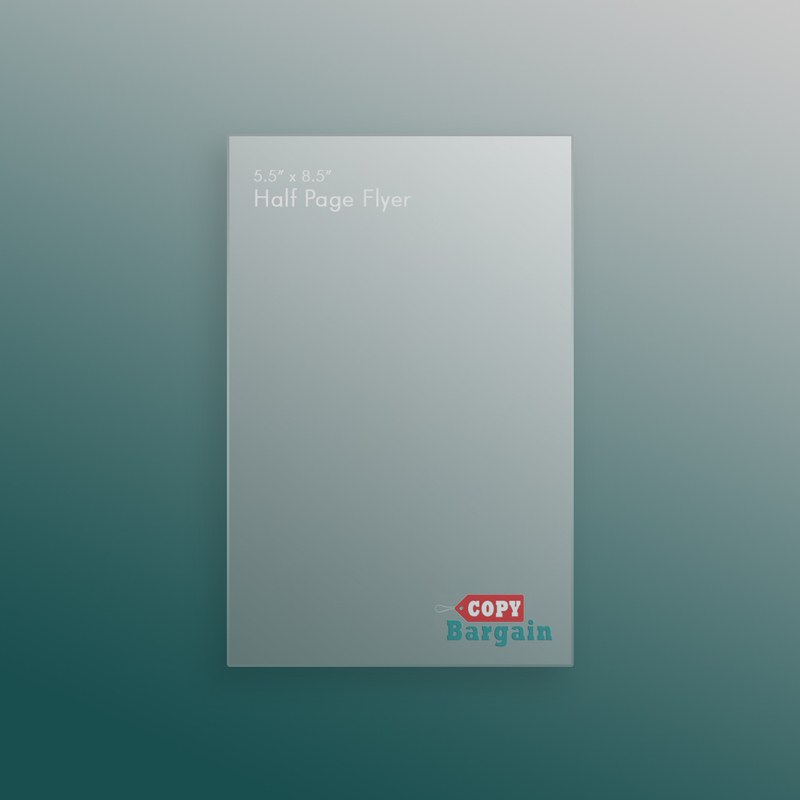 Available for print on either our UV or Aqueous coated paper and filling up 5.5”x8.5” of a standard page, these printed flyers make a statement when you need it. Copy Bargain’s half page flyers are the perfect size for just about any marketing campaign you can think of. Whether you’re promoting a sale or advertising a big event, these flyers can hold plenty of information at the palm of your hands. Pass out our flyers at special events or leave them with the front desk for clients as they leave. Either way, our eye-catching flyers have plenty of space for both images and text, and promise to bring both new and old clients knocking on your door. At Copy Bargain we believe in three things: quality customer service, fair prices, and stunning print design. We want your investment to help you succeed, which is why we offer professional advice at the touch of a button. Contact any one of our marketing professionals and we’ll help get you on the right path. Great service, low cost, and beautiful print jobs every time—that’s the Copy Bargain guarantee.